1290 KTM Super Adventure: The Enduro From Austria. The Austrians are the greatest. At least in this class. 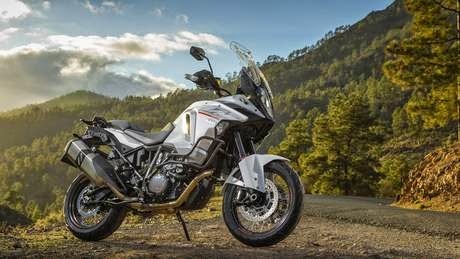 Only two years ago, KTM has renewed with his great 1190 Adventure Travel Enduro - why it continues with the 1290 Super Adventure now even a cherry on the cake? The answer is clear: This segment is booming and, with premium prices for good margins in the coffers of the manufacturer. Since it is quite reasonable to further drill a series. 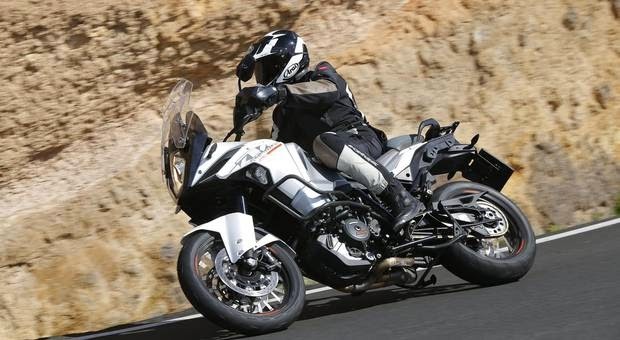 1290 Super Adventure therefore comes in handy because it has been recognized at KTM well be that the 1190 adventure for many touring rider has some shortcomings. 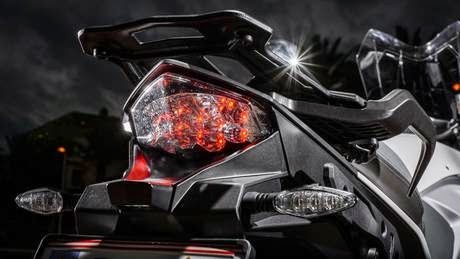 The brand claim "Ready to Race" makes the 1190 the most agile and most powerful enduro on the market, but in terms of comfort was catching up. This job now done 1290 Super Adventure. With the new, semi-active electronic suspension offers a spread of setups that is fascinating. In "Comfort" mode they ironed on the worst Spanish bumpy, like driving on a newly paved highway. Street, Sports and offroad are other possibilities. Because the suspension is semi-active, the spring elements react autonomously and harden for example when braking the fork to reduce a doze off. The second major comfort charm is the new front with great touring screen that is easily adjustable by hand wheel while driving. "Never before has driven a KTM as an expense in the aerodynamics," explains Sebastian Sekira, development manager for all road models. The result is more than presentable: Ramped counts the disk of the very best on the market. To meet the new premium ambience justice, KTM has even replaced the engine. 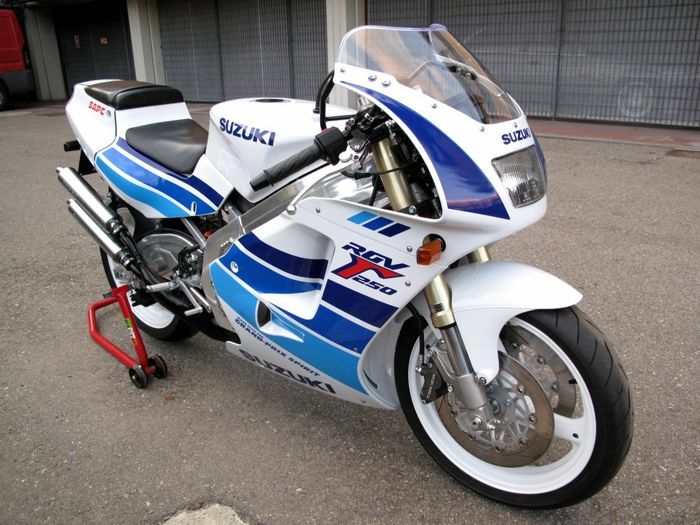 The Super Adventure LC8 of working in the capacity version of the 1290 Super Duke. Compared with the naked bike but the inertia of the crankshaft has been increased by two kilos, and the cylinder head has been revised. The result is still impressive 160 hp and above all an even more sophisticated engine running. Even just above idle speed is more than 100 Newton meters present, there are 140 at 6750 rpm. 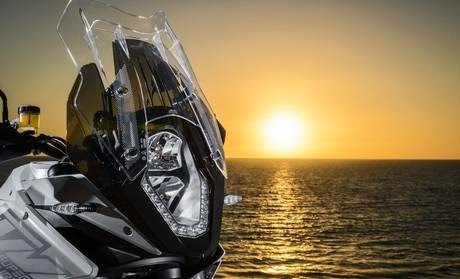 What does this mean in practice, one can easily imagine: there is power in every situation and to command a performance in which one accesses the handlebars prefer firmer. The cultivated engine running corresponds to a chassis designed for amazing lightness. The massive 30-liter tank and front with the high disk rafting indeed a huge respect; this feeling gives way after a few meters of pure driving pleasure - change curves, stop-and-go, tight corners on mountain roads, everything runs smoothly and supple by hand. Expensive, but noble. With a price of 20,998 euros KTM climbing course also priced the Grossglockner. 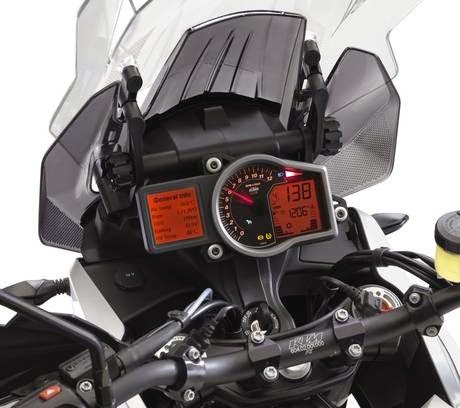 The first shock is however mitigated by a look at the list of features here is much standard on board what you have to pay extra elsewhere, such as heated grips and seat, cruise control (first time at KTM), headlights or the splendid MSC (Motorcycle Stability Control) with curves ABS.